Last time we talked about Tourmaline as a spiritual birthstone of Libra. Now, we are going to focus our attention on the Zodiac sign of Virgo, and Citrine as its spiritual birthstone. The Light Temple of Balance, Security and Trust irradiates its strong forces predominantly from August 23rd to September 22nd. People born in the astrological sign of Virgo are highly susceptible to the energies of this Temple. From the world of crystals and stones, it is Citrine which is the favorite stones of this Temple and the best conduit of its energies. That is why, dear Virgoans, Citrine is your spiritual birthstone – your personal crystal. The Great Mother of the World is personified in the figure of Virgo. 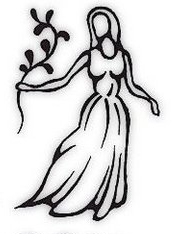 She is depicted with a white lily in her hand, signifying the tender imprints of love she leaves in the souls of those people whose life essence knows no stains. As the queen of the lilies, Virgo pours out the fluids of her spiritual abundance all around the world, promoting accelerated spiritual development and faster attainment of the maturity of the Soul. These sacred fluids are the fiery blood of Christ’s starry nature. The path of Virgo symbolizes the upward movement of the consciousness by virtue of spiritual perfection and compassion. Virgo is a sign of practical service. The most elementary form of service is helping out of a sense of duty. This form of service, based on subordination and obedience to a higher authority, is often followed by feelings of guilt, shame, bad conscience and fear of punishment. The ultimate goal of people born in Virgo should be to transform their service based on duty to a service based on love. Anxiety, distress and criticism are great obstacles for this sign. Remember that the light of the Soul is the initial stimulus that should lead you into all your worldly actions. When you focus too much on the negative side of things, instead of eliminating those negativities, the result is just the opposite. Only by focusing on the positive aspects will you eliminate all undesirable things or courses of action. Your task in life is to develop a loving and optimistic practical service. Virgo symbolizes the point of depth, darkness, silence and warmth. From this valley of profound experiences, the secrets of life are revealed and brought to light. Mercury is the orthodox ruler of Virgo. It symbolizes the versatile energy of this sign. 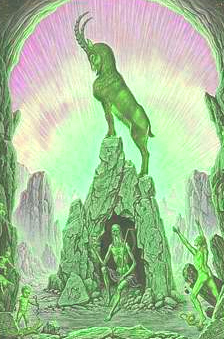 Moon is the esotheric ruler of Virgo. It is the ruler over the form. Mercury, the Divine messenger – the principle of the active higher mind – will fullfil his mission when all people are brought into the light. When the Christ child in everybody’s heart rises from the womb of time and flesh and sees the light of the day, humanity will complete its next major step of evolution. Virgo is an earth sign. 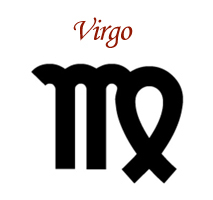 The keywords of Virgo are “Let the matter rules” and “I analyze, exercise and criticize”. 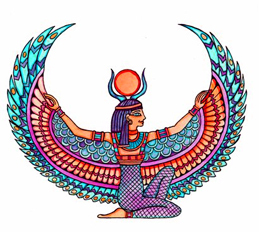 When the illusion of separation is removed, when the never-ending process of criticism is stopped, only then is Virgo capable of filling its inner depths with light and Divine energy. At that moment of time, the keywords of Virgo are changed to “I am a mother, I am a Christ child, I am matter”. All types of food, including the external stimulations that we receive by means of our senses, are in their essence a form of crystallized light – a pattern of radiant cosmic energy. By assimilating these energies into your body you can become increasingly aware that you are not just a material body. The most important part of you is actually your radiant, light body. When you begin to understand the purity that lies behind the source of that light, you will also release your illusory inner structures. Only by experiencing the life that exists in your body can you become fully aware of your Divine nature. If you can learn to respond to that life, you will become aware of the radiant energy crystallized within your body – aware of your true light being, of your heavenly nature on earth. Virgoans are methodical, precise and refined. They are very fond of cleanliness, hygiene and order in every respect. At times, they may be rather conventional, choosy, casual and of reserved nature. Their friendships often tend to be superficial. If that is the case, usually their friends will be selected among those people who can help them move up the social ladder. Virgo is a modest and vigilant sign, prone to compromise. People born under this zodiac sign can be overly sensitive, discreet and quick-witted, with deep understanding about the problems of other people which they can actually help solve. Rarely are they emotionally involved because their mind is the main asset at their disposal, while the lack of passion is usually compensated by their extraordinary accuracy. All in all, they are very practical, intellectual people whose mind can be exceptionally logical. With their excellent eye for details, with their tact and with their skillful hands, they are capable of building a personal sphere with no place for people that are irresponsible or without personal dedication. Citrine comes in a bright yellow to golden brown colors. The yellow color of Citrine symbolizes the logic and intellect. This birthstone of Virgo is a transparent crystal that can be polished to a high luster. Citrine is a stone capable of boosting the selfesteem of Virgo, which is very important for the correct use of personal power. This crystal of abundance is capable of loosening the hold of the ego, bringing happiness and optimism. 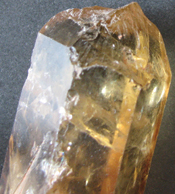 As a consequence, Citrine enables the Virgoans to establish a more direct link to the Spirit. Citrine is a symbol of hope, youth, health and faithfulness. It promotes the process of accumulation of wealth, as well as success and prosperity in the business world. Citrine is a very efficient purificator of the physical body as it carries within its core the creative powers of the Sun. It can also purify the more subtle, astral and metal bodies. Citrine promotes courage and wisdom; it grounds and dissipates negative energies from the body. Like the other yellow crystals, it works best when placed close to the plexus solaris chakra. Citrine is believed to be one of the crystals which do not accumulate negative vibrations – instead this crystal will either reflect the negativities back to the source, or it will transform them into positive vibrations. Citrine is also a strong energizing stone, capable of bringing in energy, heat and comfort. Virgoans will find it very helpful in dealing with all sorts of practical problems of everyday life, as it will open their mind to new thoughts and ideas. During the day, Citrine can be worn to eliminate fears; during the night it can prevent nightmares and ensure restful sleep. As a form of Quartz, Citrine can be used to enhance your psychic consciousness. Citrine regulates digestion and eating disorders. In combination with Carnelian, it is believed to stimulate the natural production of insulin. It purifies the pancreas, spleen and liver; it helps the functioning of the kidneys and regulates blood circulation and anemia. Citrine is one of the stones that need no special purification. One should avoid extensive sun exposure as this stone is known to pale in the sunlight. Select your own spiritual birthstone and carry it always with you. Love and respect your Citrine and always enjoy in its energies.